"Why continue to blog when there's FB and Twitter?" I was asked this question by my physician colleagues who are not really into blogging and my immediate reply was, "Why not"? Twitter and Facebook are cool. In fact, I both have them but there's a whole lot of things you can do with your blogs. Having Twitter and Facebook is like having the latest car models but what is owning the latest high-end car without a house of your own? My blog is my house online. I can do whatever I want with it and put my personality with it. I can choose the layout that I want. I can put the widgets of my choice. I can even monetize my blog. Yes, I appreciate having Facebook and Twitter but I will not stop blogging or writing in my blogs. With blogging, I can express more, elaborate on things and explain. 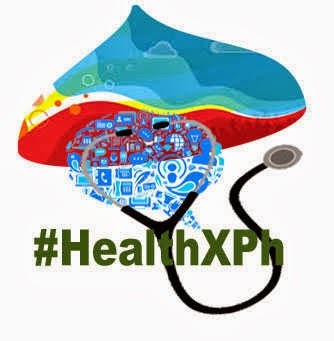 It helps especially if I want to impart quality content and information, share experiences or make reviews which cannot be adequately done using Twitter. I use Twitter and Facebook though to share a teaser of sorts with a link in both sites toward my blog posts. I can actually write Notes through Facebook which could have the same textual content as a blog post but in reality, a Note in Facebook could never replace a post placed in a blog. It is not just the same as a blog post and it doesn't provide the same appeal as when it is placed in a blog. It lacks a personal touch, a personal feel. But I am not saying I'll not use Facebook or Twitter either. I even prefer integrating both in my blogs. I made the initial steps by putting a share button to social media bookmarking sites and link to my Twitter. I also placed a Facebook like box or social plugin. I plan to integrate Facebook comments and Twitter live feed. So you see, Facebook, Twitter and blogging can exist together with one complementing the other. I will still continue to blog despite the emergence of Facebook and Twitter. There aren't a lot of professionals including doctors who appreciate blogging yet. Not a lot see the benefits blogging can bring even in medicine or medical education. Let Cebu MD talk you into going into blogging. If you are in Cebu, you can ask Cebu MD or the Cebu Bloggers' Society to discuss or speak to your group about blogging as a topic in talks or conventions. Send me a message in Facebook or Tweet me. 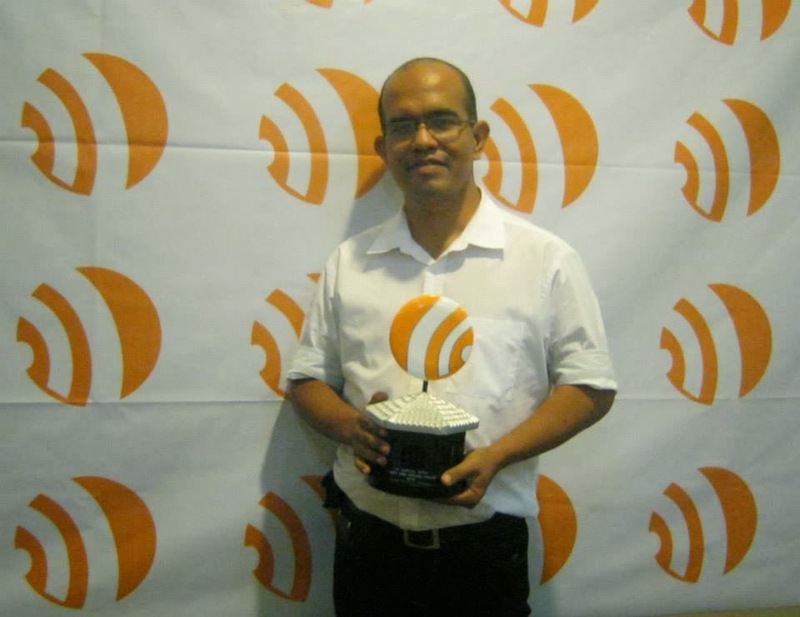 Cebu MD is the current Auditor and one of the Board of Trustees of the Cebu Bloggers' Society, Inc. the most organized blogging organization in the Philippines which is based in Cebu City, Philippines. He is part of the organizing team of the recently concluded World Bloggers' Day - Cebu event. This is his first entry to the Blog Rounds Season 2. I like your house comparison, doc. You get to retouch it to your taste. So is blogging. Thanks for dropping by. It is my honor to be part na of TBR: VD. I also enjoyed reading both of your blogs. Balik-balik lang mo dire ha. "a Note in Facebook could never replace a post placed in a blog"
That's true doc. Your blog post gets to be read in the context of your design, your layout, all those extra things that tell the world you are and what you're like. Blogging may complement them but being the reincarnation of the traditional but accessible essay, it is like a bulwark against the millions of grammarless posts that are impacting the English language today. Nice to meet u here po. Membership is currently on hold as we will be having some changes regarding the membership but as soon as the changes are in place and the membership is re-opened, I will notify you all through TBR. 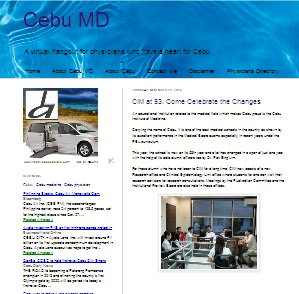 Meanwhile visit our website at http://www.cebubloggers.com and familiarize yourself about us. In there, you will realize that we are into promoting everything Cebu. We do not limit ourselves to online blogging activities. We also serve as online media. Hi doc! I'm a first year medical student and I attended your talk at the APMC Convention. You inspired me to consider creating a blog. It'll be quite a challenge as I need to work on my time management well. More power to you! Continue to inspire! Wow! thanks for this comment. I am glad the talk inspired you to consider creating a blog. It is really challenging but if you are passionate about it, somehow you will never run out of posts to write about. You just have to write in line with what you really enjoy writing. I am just a tweet or fb away.